Continuation Patterns - Continuation patterns suggest the market will maintain an established trend. 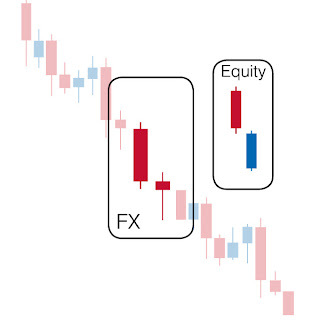 Often the direction of the candlesticks themselves are in the opposite direction of trend in continuance. Continuation patterns help traders differentiate between a price action that is in full reversal and those merely taking a pause. Most traders will tell you there is a time to trade and a time to rest. 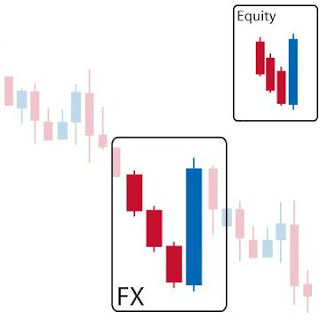 The formation of continuation candlestick patterns imply consolidation, a time to rest and watch. The Falling Three Methods pattern occurs in a bear market, where during a downtrend the market rests before resuming the trend. The bearish trends break is reflected by small candles that all stick to a strict market range formed by the aggressive move on day one. A typical explanation for this type of formation might that the market is slowly digesting the relatively larger move in day-one. These small daily ranges often precede significant economic reports. Such periods of relative inactivity and tight trading are common in markets. Falling Three Methods is confirmed where a red candle dives down to new lows reinstituting the bearish trend. Number of Middle Candles - In a picture perfect formation the middle candles number three. But realistically the pattern may have two, four or even five candles. 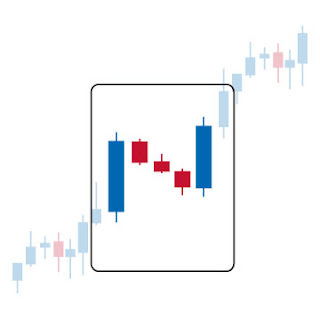 Individually each middle candle may be a star or doji, red or blue. Middle Candle Wicks - Important to note is that each middle candle wick needs to stay within the first candles high/low range to signal a strong continuation signal. With the bearish Falling Three Methods this is especially important for the highs. Should a wick trade to a high above the first large red candles high, it casts doubt over the strength of the established down trend. The first two candles of this formation continue a downtrend with the second red candle gapping, suggesting strong bearish sentiment. A blue candle on day three indicates investors taking advantage of low prices to buying. 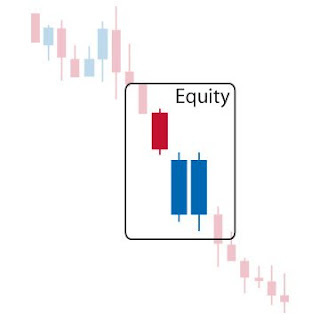 But when the third days price action does not fill the gap created between the first and second days candles, traders take this formation as a sign that the downward trend may likely still continue. So long as the previous downtrend is an established one, candlestick analysts view this formation as a sign that the downtrend may still continue. The first three days serve as a fairly clear bearish move. Up to day-three in fact we have a Three Black Crows formation which is a strong bearish signal. One day of rally that only goes up to the open price of the patterns start is considered to be more sellers covering their positions than any true sign of a reversal. Thus traders will watch for short entry opportunities to come. Since the overall signal is fairly weak, most will want confirmation in the form of bearish price action the next day. • Day-one is a red day continuing an established downward trend. 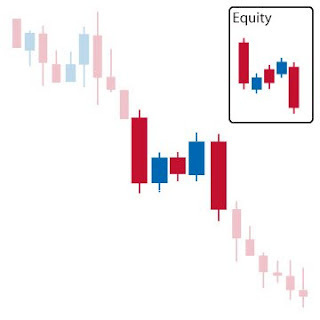 The occurrence of the two blue days in a downtrend is indicative of sellers covering their positions. The formation is a continuation indicator, signaling that the trend should remain bearish in the near future. Psychology - Seeing two Bull candles in the middle of a down trend will usually make traders think twice about shorting here. But this formation tells candlestick analysts that despite the recent rallies, bears are still in firm control of the market Day-one in this case offers the market benchmarks that need to be broken for a reversal signal to be set. Since the rallies on day-two and three cannot break the body of day-one, analysts know buyers do not really have control of the market. If anything the recent buy-backs potentially offer good entries for short positions. Confirmation - Ideally the wicks on day-two and three should not trade up to the body of the first red candle. 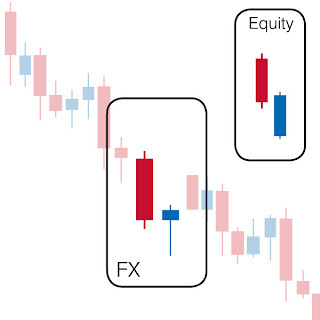 In non-FX markets the In Neck starts with the red continuation candle, day two gaps down to open well below the close of day one - then rallies back up to day-one's close. In Neck suggests that the despite the large bullish move by the blue star on day-two - when the market moves deeply down, only to rally back it, the market is still continuing the downtrend and capable of additional bear moves in days to come. The On Neck suggests very similar analysis of market sentiment. But because the On Neck does not trade up to the previous day's close or into day-one's candle, it serves as a strong bearish continuation signal. Thrusting Patterns (which look similar to Bearish Piercing Lines) again offers similar analysis. But because the Trusting pattern trade well into day-one's candle, it is the weakest bearish continuation signal. The Thrusting pattern starts by a continuation of the established move. Day two reflects a bullish rally that closes into the body of the previous day, but is not able to trade above the midpoint. The pattern suggests that sellers have not been weakened by the bull rally and if anything, shorts have simply covered their positions allowing price to rise slightly. Going forward the lack of strength exhibited by buyers would discourage longs to enter the market, and allow the continuation of the downtrend. Because this patterns signal is so weak, analysts will look for confirmation from bearish moves the following day. The Bearish Thrusting Pattern is very similar, but weaker than the Bullish Harami and Bullish Engulfing reversal patterns. Where the day-two close on the Thrusting pattern closes below the midpoint, Haramis close hits at or above the midpoint, the Engulfing patterns' day-two close reach above day-ones open. Bearish Thrustin vs In Neck and On Neck Continuation Patterns Visually, the bearish Thrusting looks similar to the On Neck and In Neck Patterns as well. • Three blue days occur in a row continuing an established bull trend. • Each day should close higher than the previous day. So long as the previous uptrend is an established one, candlestick analysts view the Three Line Strike formation as a sign that the downtrend may still continue. The first three days serve as a fairly clear bullish move. Up to day-three in fact we have a Three White Shoulders formation and a strong bullish signal. 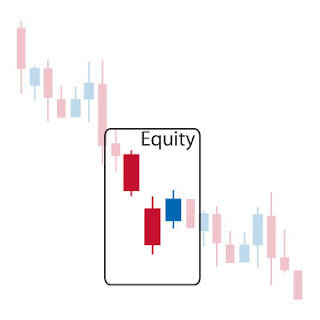 One day of sell-offs that only goes down to the open price of the patterns start is considered to be more a sign that longs are covering their positions than any true sign of a reversal. Thus traders will watch for long entry opportunities to come. Since the overall signal is fairly weak, most will want confirmation in the form of bullish price action the next day. The Rising Three Methods bullish continuation pattern occurs in a bull market, where during an uptrend the market rests before resuming the trend. The bullish trends break is reflected by small candles that all stick to a strict market range formed by the aggressive move on day one. A typical explanation for this type of formation might that the market is slowly digesting the relatively large moved reflected by day one. 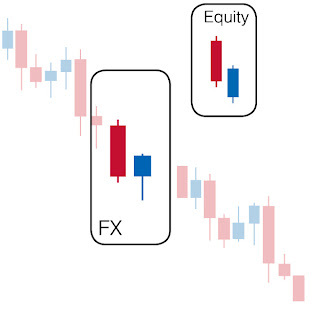 The small daily ranges in the middle candles often precede significant economic reports and FX moves. Such periods of relative inactivity and tight trading are common. Rising Three Methods is confirmed where a blue candle dives up to new highs reinstituting the bullish trend. • Number of Middle CandlesIn a picture perfect formation the middle candles number three. But realistically the pattern may have two, four or even five candles. 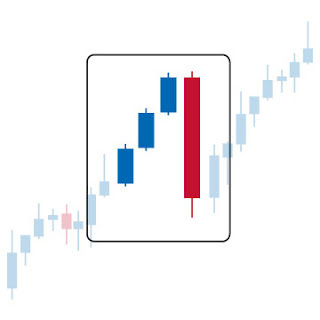 Individually each middle candle may be a star or Doji, red or blue. • Middle Candle WicksImportant to note is that each middle candle wick needs to stay within the first candles high/low range to signal a strong continuation signal. With the bullish Rising Three Methods this is especially important for the lows. Should if a wick trades to a low below the first large blue candles low, it casts doubt over the strength of the continued uptrend. Did you know that you can create short urls with BCVC and make $$$ from every click on your shortened links.